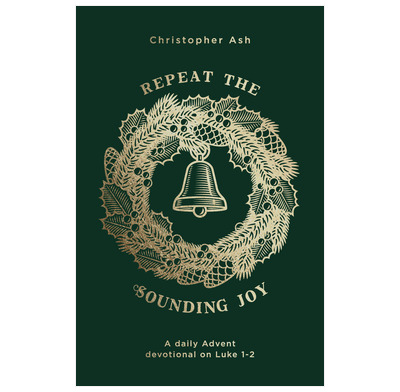 In this Advent journey through Luke 1 – 2, Christopher Ash brings these familiar passages to life with fresh insight, color and depth. As you soak up the Scriptures, you'll experience the joy of Christmas through the eyes of those who witnessed it first hand—from Mary and Elizabeth to the Shepherds and Simeon. This devotional will help you to celebrate afresh the arrival of the long-awaited Messiah in history, and learn what it means to wait for him with joyful expectation today. Each day's reading includes a short reflection, a prayer, a carol, and space to journal, helping you to treasure the Lord Jesus in your heart in the hectic run-up to Christmas.